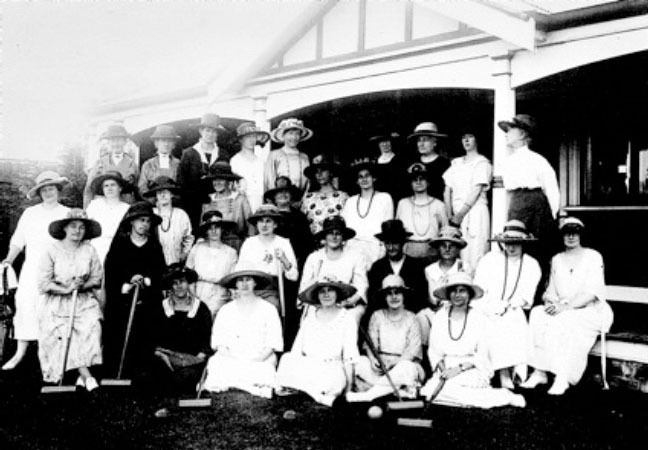 The first meeting of the Nowra Croquet Club was held in the Bowling Club pavilion on 17 May.1922. Mrs Mark Morton was elected President and Mrs J Moloney Secretary/Treasurer and a committee of three - Mrs B Cox, Mrs J Moloney and Mrs Fred Morton. No other names were mentioned. At one time the Bowling Club owned a tennis court at the rear of their green in Junction Street. When the tennis Club made other arrangements in 1922, the Croquet Committee offered to rent the court if the bowlers would add to it a small additional area so that they could lay down a croquet lawn. This was agreed to and the lawn was ready for the official opening on 4 May. 1923. Its membership was then 31. There was a Great display of flags and bunting and, after having expressed his pleasure in opening the lawn, the Mayor Alderman Bennett attempted to make the first hoop and succeeded on the third try. At this time Kiama and Berry had flourishing clubs. They were guests and played the opening match. In the same year, the three clubs, Berry, Kiama and Nowra began challenging each other with Berry mostly winning. The amount of rent paid to the Bowling Club is unknown at this time. Secretary's Reports show however, the ladies were organising Dances and Euchre parties every month. The Euchre parties averaged seventy to eighty players and profits averaged nine to ten pounds. They also provided afternoon tea when the Bowlers had visiting teams and all profit from the teas and entertainment was paid to the Bowling Club for rent. By 1924 enthusiasm was high with the lawns being in daily use for practice. American Tournaments and a competition known as the ladder Challenge being conducted. Back to Shoalhaven Week in 1925 was a reason for great activity. Through Euchre parties, Dances and Bowlers Teas the Croquet Club raised £211 4s 11d for the Queen Competition. In the same year they gave £32 10s the proceeds of an American Tea, to the Bomaderry Children's Home. In July of 1926. Mrs Moore, an A Grade player from Kiama. gave a week's instruction. In appreciation. the club presented her with a Doulton sandwich dish and tea for stand to match. The same practice of raising funds for the Bowling Club, as well as Inter Club Competitions with Kiama and Berry continued for several more years. Then in 1929 it was decided to raise the membership fee to three pounds per annum and to do away with as many special efforts for raising funds. They offered to pay the Bowling Club sixty pounds for rent - to be paid in two sums of thirty pounds each, in December 1929 ,and June, 1930 . The responsibility for the payments of rates and upkeep of the lawns to be in the hands of the Bowling Club. The offer was accepted. From the commencement of the Club. Mrs Mark Morton had supplied afternoon teas for all meetings and did so until 1935 when, owing to ill health, she was unable to continue. Thereafter members were rostered, two for each month to prepare afternoon tea which cost Sixpence. This went into the Croquet Box Fund together with cash from the sale of plants and flowers sold by members and visitors' fees. Croquet Box money was used for the purchases of balls and hoops. Owing to rising costs by 1931 the club was again obliged to have Euchre parties and cater for Bowlers teas. In 1931, Gold Brooch Competitions for B Grade and C Grade were started. Also in 1931 Miss Grace a Champion of Champions. visited Nowra with three other players. They played an exhibition game described as most instructive and interesting. For the next four years the members continued to work hard to improve the lawns, improve their play and keep up membership. Then in April 1937. they were greatly shocked when the Bowling Club announced their intention to sell the area. The Croquet Club offered three hundred pounds for the land, the money to be borrowed from the Bank of NSW at 5%. Failing acceptance, they applied for a monthly tenancy till the land was sold. Their offer was accepted and in July a letter was received from the Bowling Club intimating that the land had been sold and that it must be vacated by the 1st of September. When the area at the Show Ground was given to the Croquet Club by Council it was a plot of rough, uncultivated, uneven ground full of weeds and stones. The members with the help of their husbands and friends. took picnic lunches and worked at weekends clearing, digging and levelling the grounds and finally fertilising,rolling and sowing the grass seed. It took till March 1939 to get the Club Rooms and lawn ready for use and play commenced. By the 1st April, the club had been without a lawn for a year and eight months and by the tenacity of its members it survived. About this time the Club asked Council to close in the ends of the verandah and put a handrail to the wooden steps which they did. During World War II the club helped at all fund raising Patriotic Carnivals and joined with the Girl Guides in Farewell Socials to soldiers leaving for the war. Also by having card parties in the homes of members, they raised money for Red Cross, Lady Gowrie Fund and the Australian Comforts Fund. Although the new lawn was ready for play in 1939, the official opening did not take place until 12 March, 1941 the reason being that with so many war efforts there had been no opportunity, and for two months in 1940 owing to the drought it was not possible to use the lawn. On the opening ceremony Kiama and Berry Clubs were guests and an elaborate afternoon tea was served. In honour of the occasion, Mrs F S Morton presented and Australian Flag, Mrs Buchan gave a flag pole which Mr Les Hewlett erected. For the next decade the club life remained much the same but the game was slowly losing in popularity. Membership had dropped to thirteen players and two associate members. Kiama Club ceased to function in 1948 and Berry disbanded on I May 1950. The Berry Club generously gave Nowra three mallets and a set of balls. In 1950 Council raised the rent to 26 pounds per year. For the next ten years there was no fund raising for charity The club's finance came from membership fees, euchre parties and social afternoons and was used for maintenance of equipment, mowing, weeding, spraying and top-dressing of the lawn. For six months from September 1957 till March 1958, the lawn was out of commission while being reconditioned. For this work the Council gave the club a donation of thirty pounds. The lawns were reopened in a colourful scene of flags and bunting, the ceremony being performed by Mr Batt, the Shire Clerk. The first ball was hit through the hoop by a foundation member, Mrs Cook. At the May meeting in 1958 Life Membership was conferred on Mrs Cook and a winter uniform of grey skirt, white blouse and red cardigan was introduced. Membership now stood at nineteen and increased to 22 in 1959 but by 1962 membership had dropped to fifteen players, one life member and three associates. In 1962 Council raised the rent to 36 pounds per year. To help meet expenses Miss Elyard opened her home, where valuable historical documents, antiques and many of Samuel Elyard's water colours were on display. The Club benefited by £21 15s 6d. In 1963, a new Croquet Club was formed at Berry, with the club renting CWA grounds. There was games between the two clubs but the high cost of maintenance and small membership caused it to disband in less than two years. In January 1965 Mr and Mrs Maslen from Sydney Club visited and Mr Maslen being the first time a gentleman had played on the lawn. Membership fees were raised to four pounds in 1965. In August 1965 the full size lawn was divided into two half sized lawns. In 1969 it decided to improve the uniform by wearing white ribbon hatbands embroidered in red with the words "Nowra Croquet Club". From 1962 there were no special efforts for raising funds and in 1967 it was suggested that each member in turn provided a mystery parcel for the monthly meeting. The table was well patronised and the proceeds from the sale of goods plus the mystery parcel brought in about $50 a year. In 1969 Mrs Kylie Scotter of the Manly Croquet Club gave a refresher course of nine two hour sessions. the cost being one dollar per lesson per person. The proceeds from the tuition were donated by Mrs Scotter to the Manly Croquet Club. During the visit, Mrs Scotter and Mrs Monaghan visited Nowra High School by appointment with the Headmaster hoping that croquet might be introduced as a school sport. The Sports Master and Mistress visited the lawn and joined in a game of golf croquet. While they were impressed with the value of Croquet, however, an already overcrowded curriculum prevented the inclusion of Croquet at that stage. In 1970 three text books on Croquet were added to the Shoalhaven Shire Library. Round Robin matches were played in the spring and the results sent to the Handicap Committee for new bisquing. In mid March of 1971 the north side half lawn was completely removed and eight loads of soil from Shoalhaven Heads were spread. Eight pounds of grass seed were sown and the germination was good. However, drought followed, the young plants withered and the ground had to be re seeded. Flood rains in December washed away the surface and it had to be seeded for the third time. It was hoped to use the lawn again before the end of that winter, 1972 when it was planned to completely re form the south lawn. 1972 ,the Golden Jubilee Year, saw five new members enrolled bringing the playing membership to fifteen with two Associate Members. In July 1978 it was proposed that Life Membership be awarded to Emmie Monaghan for her eleven years of service as Club Secretary and for her work as writer of Croquet's Fifty Years of Play in Shoalhaven. Previous Life members were Mrs Tom Cook and Miss A Elyard. In October 1975, Life Membership was conferred on Mrs Mamie Fuller and in July 1976, it was awarded to Mrs Maud Walker, both women having given years of service to croquet and to the club. In May 1984 a special birthday party was given to Mrs Maud Walker who celebrated her 100th birthday. The club had many friends who helped in many ways. Mr John Hills did the lettering on the Honour Roll. Mr Don Martin, Mr Fuller and Ken Forrester carried out repair jobs free of charge. In April 1982 Mr Alf Tetley attached two wings to the Honour Roll. As a helper to the club, special mention was given to Mr Bruce Scott of the Woonona Club who gave advice and help for the purchase of mallets, balls, hoops and clips as well as instruction for play. In 1976 Mrs Beryl Morley was Honorary Auditor in place of her brother Mr Gordon Cook who had audited for the club since it was formed. During the following years there were a few visitors from other clubs. Mention was made of two visits from the players of the Woonona Club. In August 1981, a trip was made to Woonona, to attend that club's Gala Day. In April 1983 the Manly Club members enjoyed an afternoon on the Nowra lawns as they were en tour from Adelaide visiting croquet clubs on route. Until December 1980, Christmas meetings and parties had always been held in the club rooms which were decorated for the season. In December 1980, the combined meeting and party was held in the home of Mrs Forsythe. In 1983 Mrs Kelly suggested that the Christmas celebration should be a dinner at the Cross Country Motel. The idea was accepted unanimously and repeated for Christmas1984 when Mrs Kelly supplied music from her melodeon! In June 1980 the lawns became recognised by the City of Shoalhaven as a sports ground and they would be mown by Council. The club still had a grounds committee to act in conjunction with the council and to generally supervise the condition of the banks and drains. Throughout the club's existence, the Treasurer's monthly report had always shown a healthy credit balance. The income being from Membership Fees, Trading Table sales and a 20cent Mystery Parcel Levy. In 1982, money was raised by an annual sale from the Lions Caravan which returned $189. In July 1980 Membership Fees were raised from $12 to $14. In 1985 the subscription was $30 per year. In March 1982 Mrs Kelly opened her home for a Coffee morning which added $17.40 to the bank balance. The 1983 profits were $134 and in 1984, equalled $150. The proceeds from these efforts enabled the club to buy a quantity of good white bone china cups, saucers and plates as well as meet all other incidental expenses. In July 1985 the then president, Mrs Connie Button introduce her husband as a new member and is it believed he was the first male playing member. Also during that year Stan Hall, president of CPA ,attended the club. In September, and hoops were stolen from the lawns. During 1987 croquet demonstrations were held at retirement villages to promote the sport as well as numerous street stalls for information and fund raising were held. The year 1990 saw the the club become incorporated and visits to Manly and Camden Clubs. In September 2000, the Olympic torch relay passed by the club lawns. On that day, a gala day was held at the club which raised 5% of the clubs earning in the one day! Also in September 2000 the club began the task of finding a new home! Marjorie Clarke ran association classes though the Southern adult education program for 10 years from 1995 until 2005 to raise money and increase membership numbers. One of the last students in Marjorie’s classes was Tim Murphy who went on to represent Australia in the world championships over a number of years. For her services to the club Marjorie was made a life member of Nowra Croquet Club. 2003 saw the introduction of golf croquet (a game previously greatly frowned upon by older members of the club) The increase of member numbers caused by this addition to the sport ,saw as many as 16 players playing on half lawns at the West Street site most Saturday mornings. As there was no way in which the present court could be enlarged and no place to expand , it was decided that the club should approach council for a new lawn. The first site suggested was on the opposite side of the memorial gates at the show grounds. Council said no to this idea, as the trees below the added area had been planted as a memorial to service men and women serving in the world wars. A site at the bottom corner of the show grounds at the corner of North and West Streets was suggested. A Development Application was lodged and passed, but the residents of West Street protested. The next suggestion was to move up along North Street about 100 meters. However council wanted the club to build toilets and let the public use them. This was unacceptable to the club and again residents of West Street were opposed to the idea as several large pine trees would need to be removed. Several other sites were suggested, first out on Kinghorn Street near the old cemetery, however members didn’t like this idea as vandalism was a real problem and the outlook was not a pleasant one! In 2006, then President John Deeves, suggested the old Tennis courts at Bomaderry opposite the swimming pool but Council said that this was not an option. The Mayor of the day, Councilor Greg Watson, then offered the club a site opposite the caravan park in Terara Road. This site was flood prone and the club would not have been able to build a club house. Council then agreed to let the club have the old tennis courts in Bomaderry. It was decided to build in two stages, stage one being the building of the courts and stage two the club house. The courts were estimated to cost about $150.000. A grant of $20.000 was received from the Department of Sport and Recreation and Council , through the Voluntary User Contributions Scheme, gave one dollar for each dollar raised by the club. Work began on the new courts on 20th September 2008, with council managing the project. When the building of the courts was completed club members donated the Lilli Pilli trees along the western fence and a working bee was held for the planting. 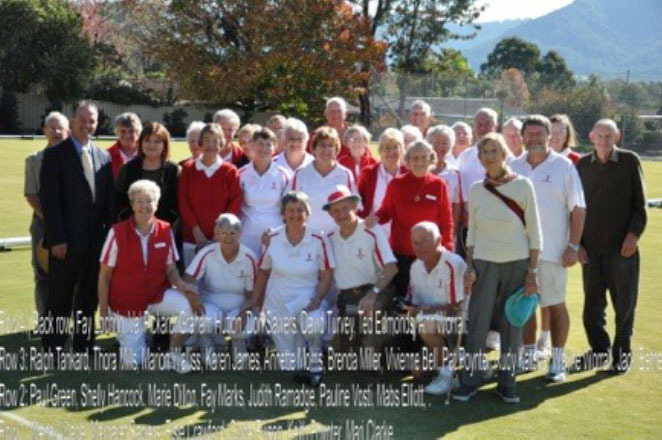 The first games were played in February 2009 with life member, Marjorie Clarke hitting the first ball and the courts were officially opened on the 27th of May that year by Mayor Paul Green. The old tennis kiosk became the club house and storage shed. As no toilet facilities were available, members at first had to use the toilets below the courts belonging to the football club. Most members were nervous about this arrangement, as the lights were often turned off and the building was very dark. 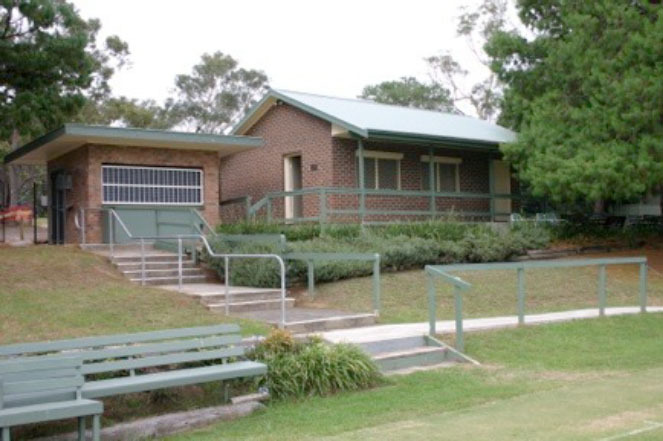 Council then arranged for the club to use the toilets at the adjacent Bomaderry swimming complex. After the courts were built, a club house was the next project. For this the members held monthly stalls at the near by Rotary club markets selling home made cakes, jams pickles, fresh vegetables, fruit and any bric-a-brac donated for the cause. Visits by Probus clubs were another good source of income. An interest free loan of $9.000 dollars was received from council, to be paid back over a 5 year period and council again granted the club Dollar for dollar through their VUCS for all funds raised. Treasurer Fay Lochrin applied for numerous grants on behalf of the club and were fortunate to receive a $4,000 grant from Bomaderry Bowling Club through CDSE funding. In November 2010 a contract with Roulstone and Faulks Builders was signed by President Judith Ramadge and Secretary Wendy Wade and building of the clubhouse began in January 2011. The kitchen was bought from Bunning’s Nowra and installed by Wayne Evison with the help of his Mother Betty (Tea and coffee maker) and father Clyde. The Evison family spent many hours to complete the job. Landscaping around the new clubhouse was done by voluntary members. supervised by Clyde Evison. All plants were donated by members. Mallet racks and railings beside the paths were constructed from materials from the old West Street site. On June 1st 2011, the first meeting of the club was held in the new building. Before the building of the club house, all meetings were held in the old West Street club house which was handed back to council on the 30th July 2011. The new club house was opened by Mayor Paul Green on the 17th of May 2012 at the 90th birthday celebration of the club. 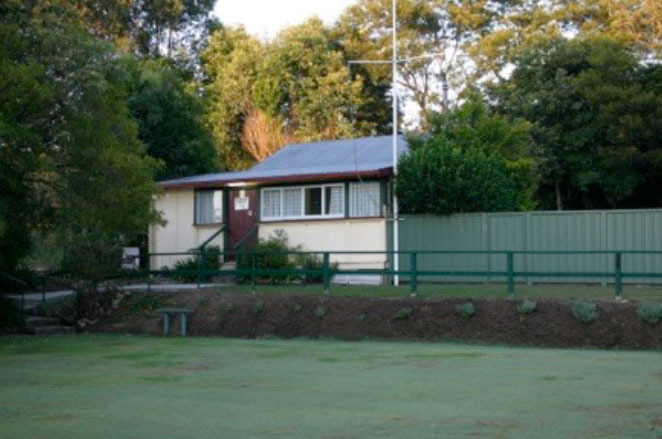 The club now prospers and flourishes in its current location with some 57 current members, who all enjoy, Association, Golf and Richoet under the guidance of the long standing Captain Margaret Sawers, who in December 2013, was bestowed Life Membership of the club for the tireless dedication to all aspects of the game of Croquet . Information researched from club minutes and prepared by E.K. Monaghan, Fay Lochrin and Margaret Sawers. Editing and presentation by Bob Williamson, publicity officer January 2014.